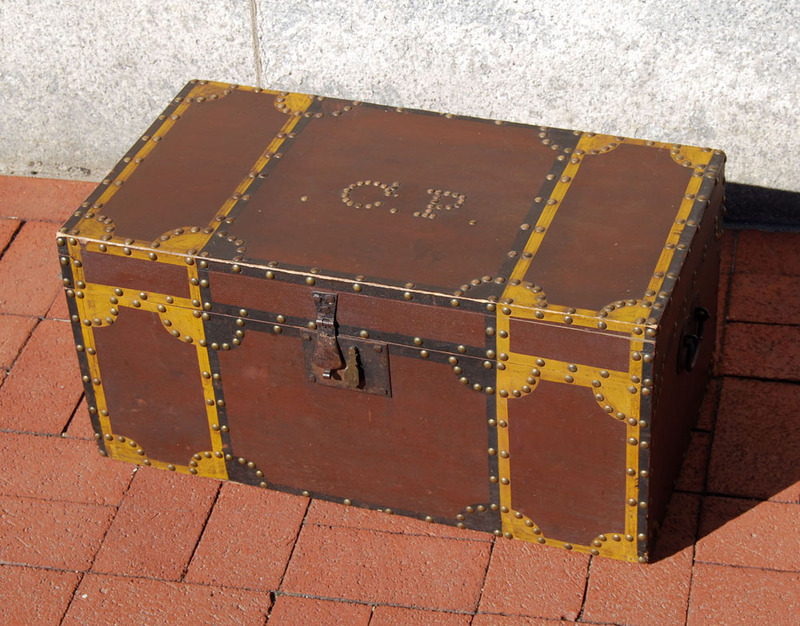 Handsome box probably made in Maine, circa 1835, decorated in brown, golden yellow and black paint, and original brass tacks, which are used to form the initials C.P. on the top, as well. Nice dovetail construction, original lock and handles are iron, and the inside is covered in newspaper. All original, with a new steel base. Excellent condition, with some newspaper loosening inside.